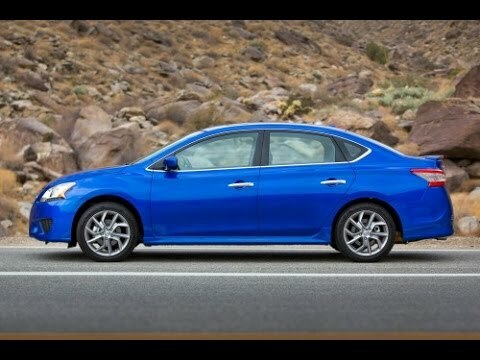 Nissan's 2015 Sentra compact sedan has always been a force to be reckoned with, a fact that has kept this longtime favorite selling strong for more than three decades. The Sentra's sleek styling and knack for offering desirable features at a low price are the keys to its success, along with its good resale and reliability ratings. Great vehicle, good gas mileage and plenty of space for size. While the car appears to be small, it does not lack in space unless you have four or five people, which it can fit though a little uncomfortably. The trunk space is spacious for the size of the vehicle and when I have travelled alone or with one other person, I have never lacked for space. As far as performance, the vehicle drives smoothly and transitions from the options of eco, sport, and regular without a hitch though I prefer eco because it really saves on gas even though the vehicle gets great gas mileage. Sport option on the vehicle does tend to use noticeably more gas than the other two options, which is understandable. In sport, it does not take as long to reach mph as it does in eco though there is not a significant difference. Overall this vehicle has been reliable and cost efficient, as well as comfortable given what I need. Great Upgrades but a Small Engine and Tank. Great for new drivers. The car only had a few miles on it so it was new when I purchased it. My only issue with it is that it accelerates slowly. I have to mash the gas while merging onto the highway and you can hear the engine loudly struggling. The tank is very small and only holds about 11 gallons so I fill up once a week. Highway miles are better than local driving. However the car tells you how many miles you have left. Besides that, my car has all upgrades and I love the digital dashboard. It has an app to play app on the center console model. One of my favorite upgrades is the push to star. The other is the using the button on the doors to open and the trunk. The auto lights is an awesome feature as well. My first car that I hope will last forever because it really could. This was my first car and it will be for a long time. The gas mileage is really great. I love the economy drive feature. I also love the Bluetooth feature because I can use my phone without touching it and I can listen to my own music. I also like how you can control the radio stations and volume from the steering wheel. Also, one of my favorite feature is the cruise control because it is very user friendly and drives so smoothly. I also love the keyless feature because I do not have to fish out my keys which is especially good when I am alone at night.